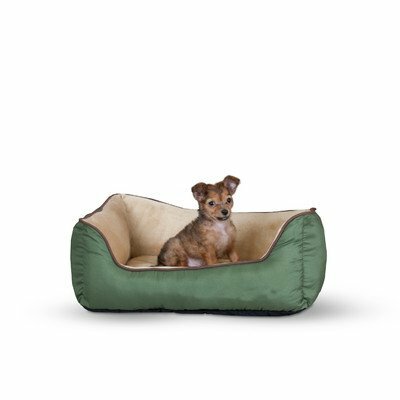 K&H Manufacturing Self-Warming Lounge Sleeper 16" x 20"
The K&H Manufacturing Self-Warming Lounge Sleeper Pet Bed is cuddly soft and incredibly warm, giving your loyal companion a comfy place to rest and sleep. 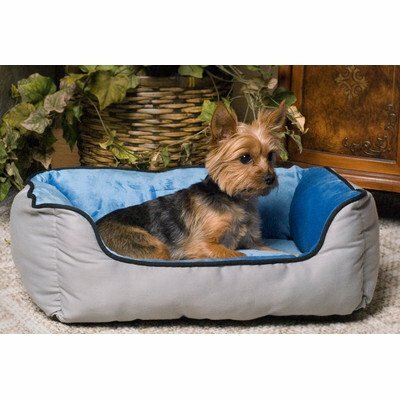 The micro-fleece lining adds to this bed's softness, and the bottom features a non-slip layer so it stays in place. Choose the color you and your pet like best to create the ultimate sleeping spot. Dimensions: 16L x 20W x 6H in.. Choose from available colors. Constructed with a poly/cotton blend and inside lined with micro-fleece. Bottom has a layer of stay-put non-slip fabric. Machine washable.